Alkaloids, belonging to the isoquinoline type, nearly 0.75%, such as norisocorydine, boldine, N-methyllaurotetanine, isocorydine. Alkaloids, like reticuline, laurolitsine, isoboldine, and so on. Volatile oil, which consists mostly of linalool, ascaridole, l,8-cineole, and p-cymene. Flavonoid glycosides formed from isorhamnetin. 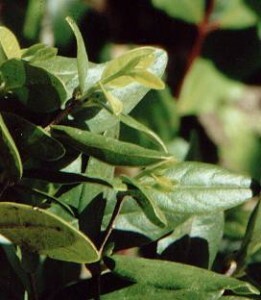 Additional Info: Boldo can be found wild in Chile. Still, it is specifically raised in the high areas of the Mediterranean. Preparation and Intake: To make an infusion, take a teaspoon of dry leaf extract for a cup of water (boiled up) and steep for 15 minutes. The result is consumed thrice a day. In form of tincture the herb is used in a dose of 1-2 ml thrice a day. The herb is commonly mixed with Mountain Grape and Fringetree Bark for curing liver or gallbladder conditions.